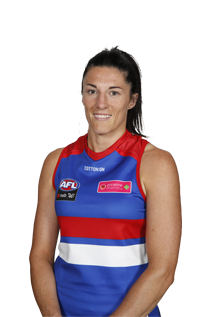 A veteran of over 200 VWFL games, Ebb uses her experience to full measure. She is a hard running and highly skilled half-back and midfielder. A true competitor that leaves nothing in the tank.